Miami-Dade Transit is the largest transit system in Florida and one of the largest in the country. Many local and out-of-town tourists use the system’s Metrorail trains and Metrobus vehicles to see the area’s many attractions, to get to work, or just to travel about the city. The transit system is just one form of mass-transit. Many commuters and travelers use taxis, limousines, and other private and public services that cater to multiple passengers. Numerous Miami-Dade residents are now using Uber services. In South Florida, many tourists and locals take advantage of mass transit services such as cruise ships, boats, trains, and planes and helicopters. When an accident or fatality happens while using mass transit, passengers need experienced Fort Lauderdale mass transit accident lawyers who understand which government entities are responsible, the time limits for bringing lawsuits, and the complexities of mass-transit cases. At Yeboah Law Group, P.A. our lawyers have a proven track record of success in personal injury cases, including mass-transit accidents. We bring claims against the right entities and against any private individuals who may have caused the accident. Train operators have additional rules that are specifically designed to manage train operation, including travel at stops that intersect with roadways. In mass-transit accidents, there are often multiple victims. Common carrier operators require specialized training and usually special licenses before they can operate their vehicles. Bus drivers, for example, need a commercial driver’s license. Mass-transit accidents often happen at the point of embarking or discharge. Mass-transit vehicles have strict standards for maintenance and repair. Many mass-transit accidents are often due to drunk driving, driver distraction, or driver fatigue. Accidents can also be due to faulty vehicle equipment, improperly designed railway signals, improper warning signs at the boarding sites, and for many other reasons. Often, a car or truck driver is the one responsible for the accident. The families of passengers who die in mass-transit accidents due to the fault of another have the right to bring a wrongful death claim on behalf of their family member. Passengers can bring their own claims. Injuries in mass-transit accidents include spinal cord injuries, broken bones, loss of limb, and other harms that often change the passenger’s life. In mass-transit cases, the city, county, or state may be liable for your medical bills, lost wages, and pain and suffering — in addition to the operator of the mass-transit vehicle. 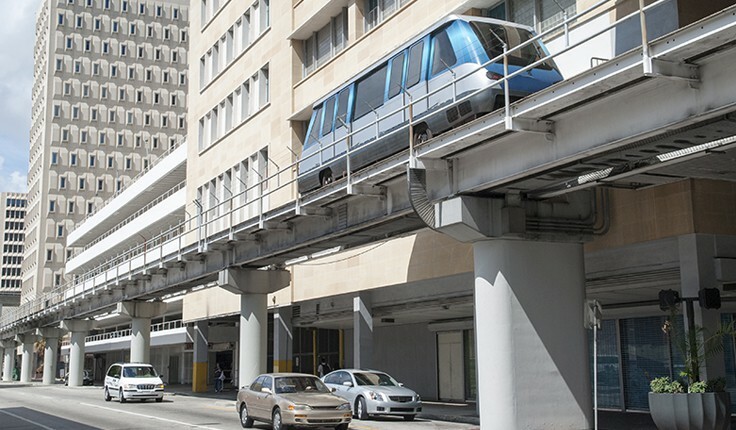 Our Fort Lauderdale mass transit accident attorneys bring claims against the government for failing to properly train or supervise their workers, because they did not have proper safety rules in place, or for other reasons. Cases against government agencies normally must be brought faster than for private accident claims. The notice requirements are different and the allowable defenses can be different. If you were injured or a loved one was killed because a train operator drove too fast, a bus driver ran through a stop sign, or a taxi driver passed improperly, you may have a claim against the mass-transit agency in addition to the driver. At Yeboah Law Group, our Miami-Dade mass-transit accident lawyers understand how to handle this special type of accident case. We work with federal and state safety agencies, reconstruction experts, and other professionals to help prove liability. We fight for every dollar you deserve. Please call us at 1-800-TELL-SAM to discuss your case at a free consultation. You can also reach us through our contact form. We handle claims on a contingency fee basis. Are Self-Driving Cars the Answer to Eliminating Traffic Crashes and Fatalities?